Taos Pueblo. Original painting in oil on canvas, 30 x 40 inches. SOLD. 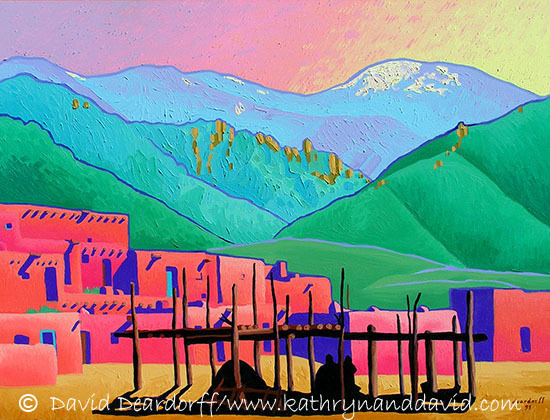 When we lived in New Mexico we went to see the Taos Pueblo in the early morning against the backdrop of the Sangre de Cristo mountains. Made from traditional adobe, it has been continuously inhabited for over 900 years.